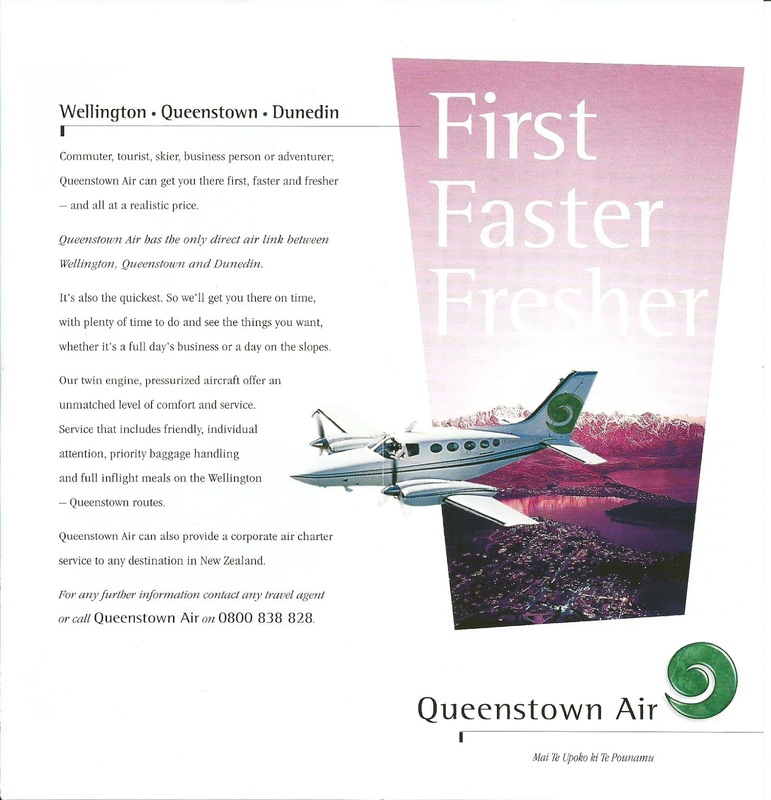 Air Queenstown Ltd was established by Thomas Enright in October 1994. Shortly after this move were set in place to import a Cessna Golden Eagle. Cessna 421C Golden Eagle ZK-ZAQ (c/n 421C0060) was duly registered to the company on the 23rd of February 1995. Tim Enright, David Marriott and Andrew Moseley were engaged as pilots. The company’s early advertising promoted first class scenic flights and charter from Queenstown as well as scheduled flights from Queenstown to Dunedin and Christchurch with experienced two pilot crews. 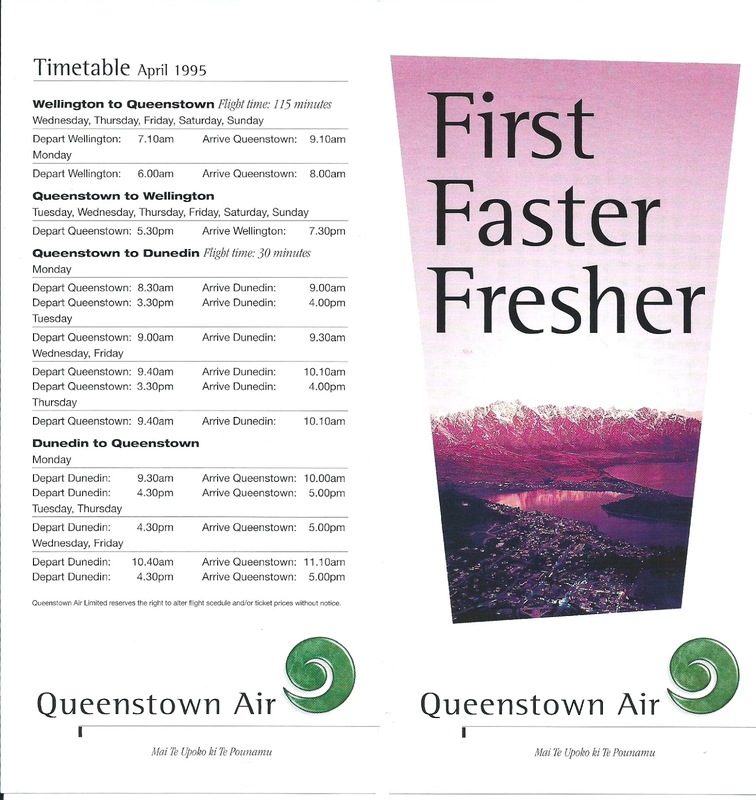 The scheduled flights hoped to start on the 27th of March 1995. The company envisaged the Golden Eagle flying six return flights between Wellington and Queenstown each week and five return flights each week between Wellington and Dunedin. The service, however, never got airborne as the necessary paperwork had not been completed. The company then looked to a 1st of May commencement date but this too was not met due to a serious engine problem being discovered shortly before the first flights. A decision was made to order a new engine from the United States. This arrived two months later and another three weeks was needed to ready the plane for service. 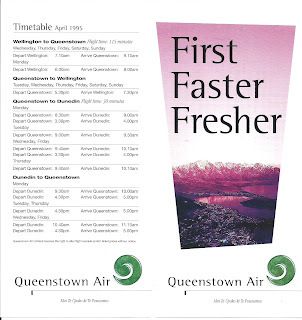 The Wellington and Dunedin flights were not successful and so in November 1995 Air Queenstown began flights between Queenstown and Christchurch. Eight return flights were scheduled each week. 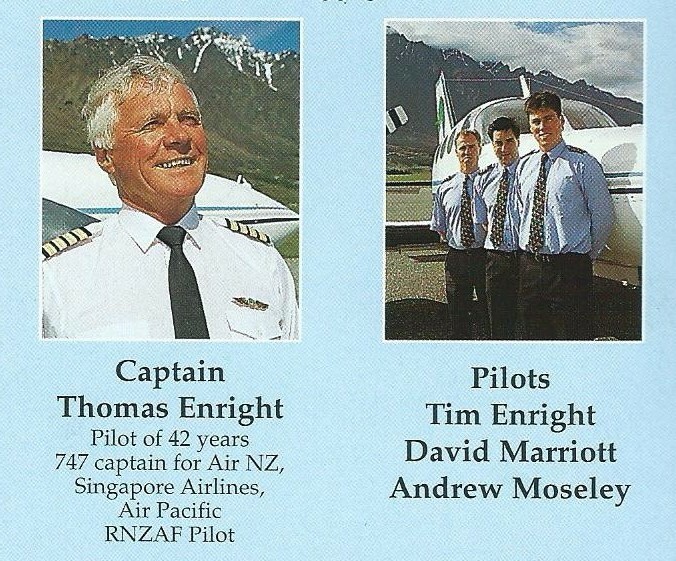 These too were unsuccessful and the service ended in the New Year and the Golden Eagle was sold in April 1996.